This is a resin car hop tray with food for 1/24 and 1/25 scale model cars. The car hop tray measures 1" across from handle to handle. This set includes the car hop tray, two brackets, a hamburger, french fries, and onion ring meal in a basket, a soft drink cup with a section of brass rod to use as a straw, and a waterslide decal for the soft drink cup. The decal is printed on white waterslide decal paper. 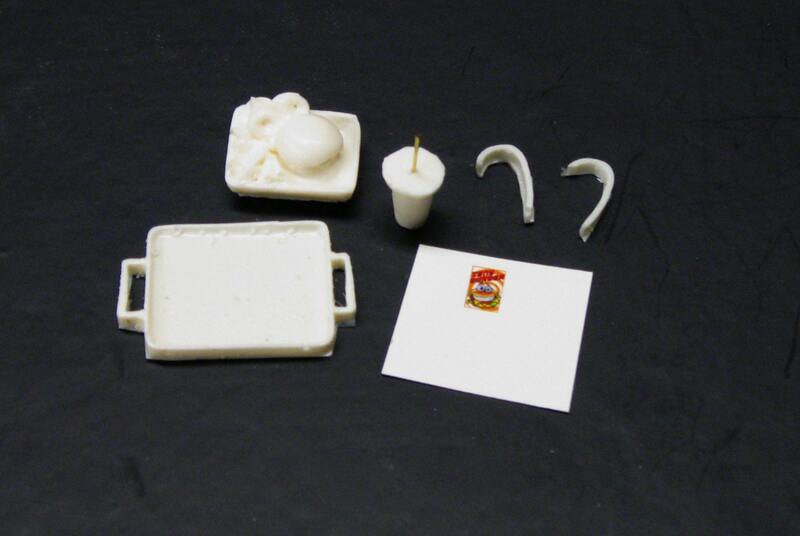 This is a scale resin fast food meal for scale model vehicles. It is not a real fast food meal.